NEW YORK, NY--(Marketwired - April 28, 2016) - Chinese travelers are relatively inexperienced with overseas trips, but thanks to decades of increasing prosperity, along with the recent easing of visa restrictions, they are making up for lost time. If recent adverse economic events have Mainland households protecting their savings, overseas travel does not seem to be the first budget item to be trimmed, according to a new report from travel industry research authority, Phocuswright. Chinese travelers spent US$205.7 billion, or ¥1.3 trillion, on outbound trips in 2015. China Unbounded: The Rapid Rise of China's Outbound Millions is a first-of-its-kind look at Chinese travelers' shopping habits and travel preferences, based on a recent Phocuswright survey of more than 3,000 who took outbound trips in 2015. As they explore further from home, mobile has quickly become the platform of choice, thanks to the country's well-developed travel m-commerce marketplace and to the influence of young, tech-savvy consumers. 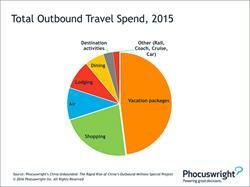 "The course of outbound travel in China is being set by the young and upwardly mobile," says Maggie Rauch, Phocuswright's senior research analyst. "The country's millennials -- known in China as the Post-80s and Post-90s generations -- show strong interest in overseas trips. As their spending power grows and they gain travel experience, they will continue to steer China's outbound travel trends." The steady growth of Chinese outbound travel is also bolstered by a rich digital environment of travel providers. 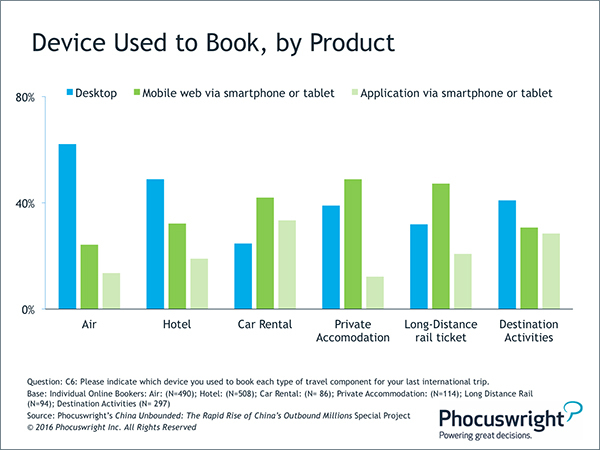 These travelers are bringing their mobile-savvy habits with them when they search, shop and buy outbound travel products. Mobile is used widely, regardless of the distance traveled and whether trips are booked piecemeal or as a package. Young travelers already wield huge influence in China outbound trends. As their wealth and travel experience grow, they will accelerate shifts toward mobile adoption, "alternative" payments and independent travel over escorted group tours. 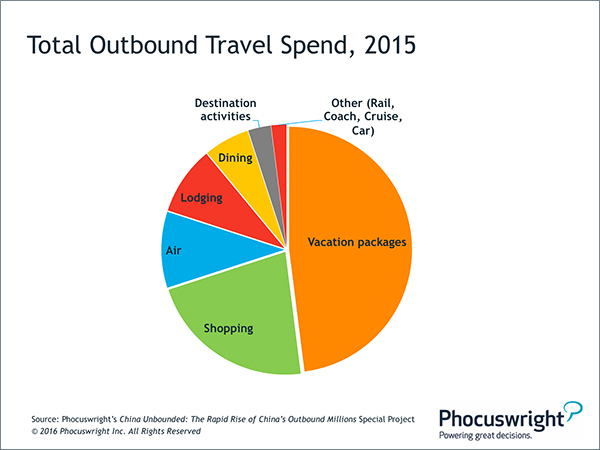 Phocuswright's China Unbounded: The Rapid Rise of China's Outbound Millions provides essential market insights on the world's largest and fastest-growing international outbound market. View the infographic exploring group vs. individual travel in China HERE. For detailed information relating to the report or to speak with an analyst, please contact Eugene Ko at media@phocuswright.com or +1 860 350-4084 x475.